Morocco is a country of spectacular natural beauty, from the golden sand dunes of the Sahara and the peaks of the Atlas Mountains to the seaside resorts. 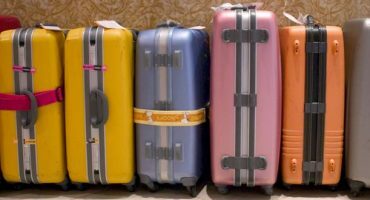 Many of the country’s best destinations are difficult to reach by public transport, so renting a car in Morocco is a good choice. 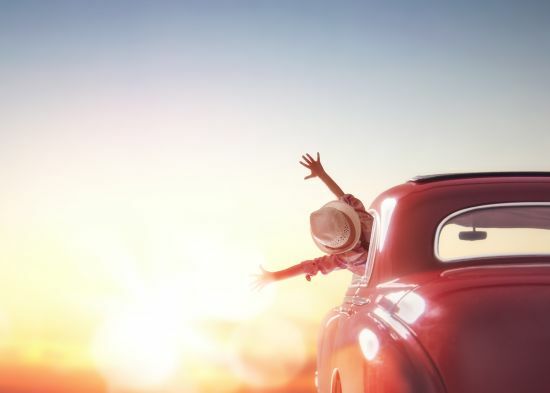 Renting a car and driving abroad can be a daunting task, so we’ve prepared the ultimate guide of what you need to know before you go on a road trip in Morocco, from speed limits to the best destinations. Where can I rent a car in Morocco? All major international car rental agencies (Hertz, Budget, Avis, etc.) have offices in the main cities and airports, such as Tangier, Casablanca and Marrakech. 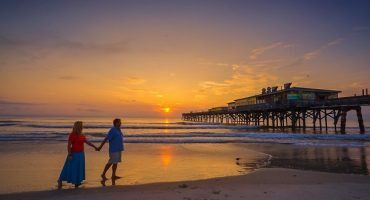 There are also several local agencies that might offer lower rates. What are the driving laws in Morocco? Driving in Morocco is on the right. Beware, Brits, Aussies and Kiwis! The speed limits are 60 km/h in urban areas, 100 km/h outside urban areas, including on express roads (voies express), and 120 km/h on highways (autoroutes). These limits are strictly enforced and speed traps are common, so watch your speedometer. Oncoming drivers will often warn you of an impending speed trap by flashing their lights. – A full driver’s license. 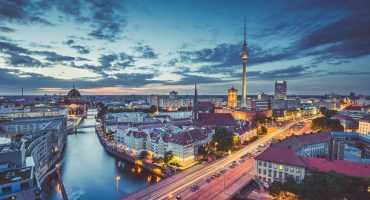 Some car rental agencies might require you to present an international driver’s license, but it seems that in practice a license from your own country is almost always enough. Morocco has a zero-tolerance policy for drinking and driving. Driving under the influence could result in a hefty fine, so don’t do it. This also applies to talking on a handheld phone while driving (while illegal, this is a common sight). By law, all passengers in the car are required to wear their seat belts. 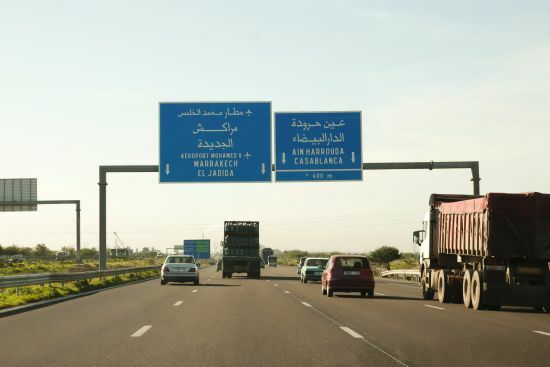 You will have to pay for using Morocco’s highways (autoroutes), though the tolls are inexpensive compared with what you might be used to from the US and Europe. Toll booths located along the network’s 1,100 miles of road. Third-party insurance is compulsory in Morocco. Make sure you carry your insurance documents with you, as police may require you to show them. For minor traffic offences, police will issue you a ticket with instructions on how to pay the fine. If you pay on the spot or on the same day, the amount will be reduced by up to 50 percent. 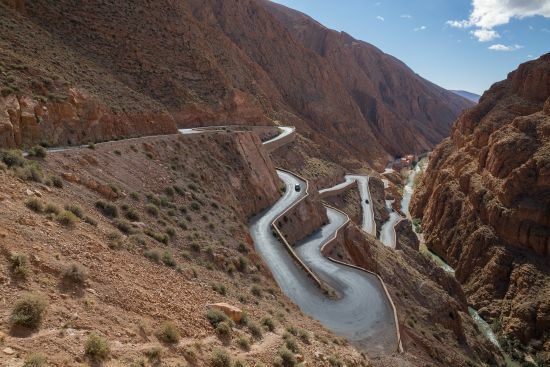 The standard of major roads in Morocco has improved dramatically in recent years and it is generally safe to drive. However, there are some things you should watch out for. Traffic in Morocco’s urban centers can be harrowing and stressful, especially when you’re not exactly sure where you’re going. Fortunately you don’t really need a car to explore Marrakech, Casablanca, Rabat or Tangier. Do yourself a favor and leave the driving for the countryside. This might be a bit more difficult, but whenever possible, limit your driving to daylight hours. The poor state of many rural roads (e.g. potholes and lack of guardrails and road markings) is all the more treacherous when you use them in the dark. Add to that the odd donkey that might just wander into the road and you’ll agree driving during the daytime is the safer option. You’ll see that some rules of the road are bent by many Moroccan drivers. Traffic lanes and traffic lights are often ignored, or you might see people, cyclists or animals popping up on the autoroutes. Use your common sense while you get used to the driving conditions and drive carefully. 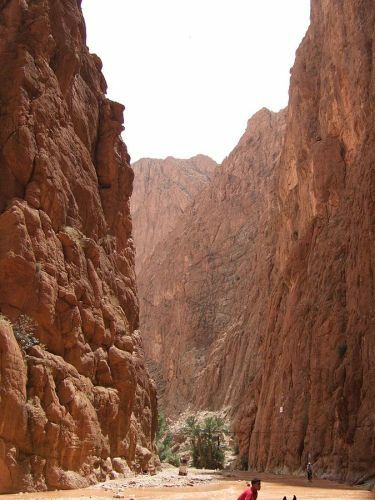 Located about 10 miles from the city of Tinghir in the eastern part of the High Atlas Mountains, these deep canyons were carved out of the riverbed over millennia by the Todgha and Dades Rivers. In places, the canyon walls form a sheer drop of up to 1,300 feet. While still remote, the gorges aren’t as inaccessible as they once were. 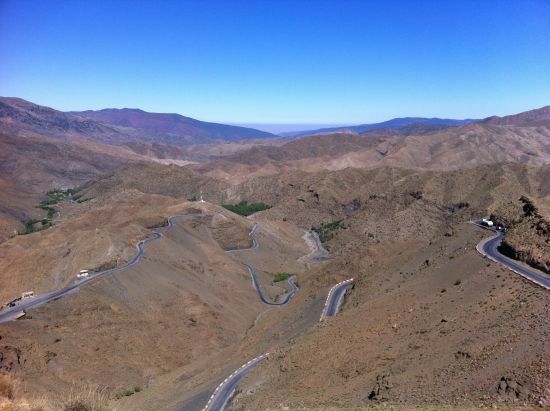 A well-maintained asphalt road connects them to Tinghir, which is a good base for a exploring the High Atlas. Are you getting to Morocco by taking one of the cheap flights to Agadir? Explore the city and then rent a car and head north towards Essaouira on the N1. This spectacular road winds for about 110 miles between the sea and the desert, disturbed only by flocks of sheep and small, isolated villages ­– don’t forget to stop in Smimou and check out its famous souk. For those with a bit more time on their hands, the N1 continues all the way to Tangier via Casablanca and Rabat. The name says it all! About 20 miles inland from Agadir, in a valley wrought by the Tamraght River, you’ll find a landscape quite unlike the rest of Morocco – rich in forests, mountains and small waterfalls that collect in natural pools of turquoise water. Take a day trip from Agadir or stop over in paradise on your way to Essaouira. This pass lies 7,400 feet high in the Atlas Mountains and provides a vital link between the cities of Marrakech and Ouarzazate. Tizi n’Tichka means “difficult mountain pasture” in Berber and you’ll see why. 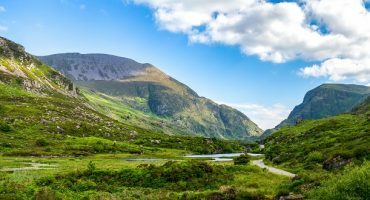 Although the road is well maintained, it might be closed at short notice in winter after heavy snowfall. But navigating the serpentines of the pass is an exhilarating driving experience that will compensate for any delay! The N9 road runs between Agdz and Zagora for about 60 miles, following the valley of the Draa River. It provides not only a beautiful introduction to the sand dunes and oases of southern Morocco, but also features several kasbahs (fortresses) and ksour (small fortified villages). Don’t miss the kasbah of Tamnougalt just outside Agdz! IMG: Shutterstock, Matthew Harrigan / Wikimedia cc.